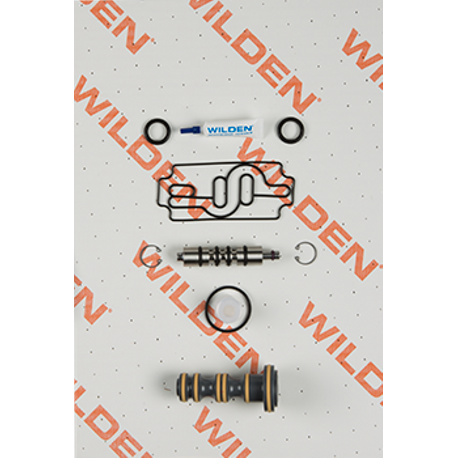 Wilden® Pro-Flo® Air Distribution System (ADS) Air Repair Kits contain genuine Wilden parts for the air side of the pump. Each kit contains replacements for primary wear parts and is vacuum-sealed to maintain parts integrity and cleanliness. © 2017 PSG Worldwide, Inc.